Since days of the yore, advertising has been the best form of promoting a brand no matter what industry, service or sector the brand belongs to. 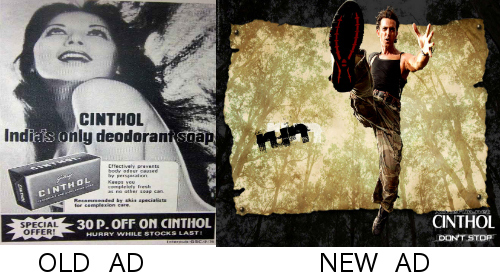 But has the ways of advertising changed over the years, would you say it has advanced or has it evolved? With the change of lifestyle and advancement of technology has the outlook of advertising changed? Although we cannot be sure how much, but the notion of advertising has of course changed over the years. Let us take a look at them. The mediums used for advertising has changed drastically, specially with the advent of internet. Apart from traditional means of advertising like newspapers, magazines and billboards, now advertising has spread its wings to newer mediums like Facebook, Twitter, Youtube, ambient advertising as well as events, exhibitions and merchandising. These newer mediums brings in their own characteristics resulting in pristine advertising methods. The other notion that has changed over the years is the perception of advertising. Without perception it would be harder to make things appeal to the consumers. It relates to how consumers perceive the brands. An example of this is if you are showing a skinny man in the advertisement of a cola brand, people may perceive drinking cola with weight loss. This has changed over the years when in the old days the products communicated directly and were perceived singularly, now different people perceive differently. This is the single most big change that has occurred in advertising. The behavior of consumer has changed drastically over the years. If previously brands were just an end to the means, now brands also represent the people who are using it, the best example of this is the brand value of ‘Apple’ in people’s mind. Your apple product defines your identity. Even though many advertising notions have changed, the soul hasn’t changed at all like the 3C’s. Concept, Communication and Connect. These things are still cherished and nurtured by advertising agencies in Mumbai , India and of the world in whole.